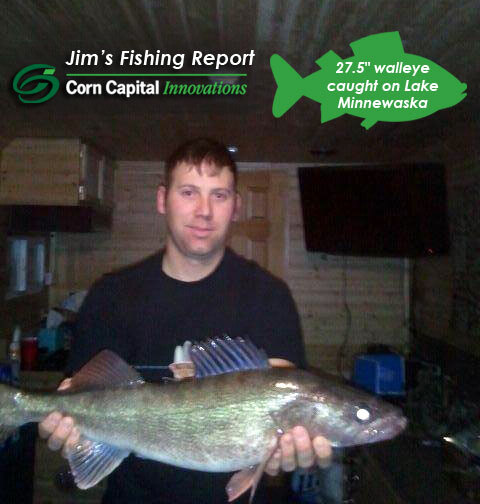 Check out this 27.5″ walleye caught on Lake Minnewaska by Jim of Corn Capital Innovations. Fishing the weekend of January 5th, 2013 was slow but was able to snag 1 nice walleye. Catch and release. Walleyes seem to be hitting on Elizabeth, Wagonda and Big Kandi. Red Lake has a good walleye bite right now as does Lake of the Woods. « Is Your Tackle Box Full?